Providing Medical Staffing in West Virginia and Maryland. We have 24/7 LIVE response for your staffing requests. CHOICE STAFFING, INC. OFFERS QUALITY STAFFING SOLUTIONS AND IMPECCABLE CUSTOMER SERVICE AT AN AFFORDABLE RATE. NO MINIMUM LENGTH OF SERVICE REQUIRED. Sally Allen, LPN, our Medical Staffing Director, is a nurse of over thirty years, having spent the last seventeen years managing medical staffing agencies in the Martinsburg area. 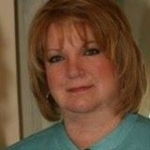 Sally brings a high level of expertise to the staffing industry. Choice Staffing's clients value her dedication to providing excellent customer service. Unlike most staffing agencies which staff traditional employees or medical personnel, Choice Staffing, Inc. offers both traditional (kitchen staff, housekeeping, maintenance) and medical personnel (CNAs, LPNs, RNs, and medical office personnel) to nursing homes, assisted livings, hospitals and medical offices. Direct hire services are available for some non-licensed classifications. We pride ourselves in offering service with a personal touch dedicated to giving quick responses to the ever-changing demands in the medical field. Our focus is helping our clients solve problems relating to their staffing whether it is short term or ongoing. Choice Staffing, Incorporated is locally owned and operated by a dedicated management staff offering professional services to your business. Our main employee staffing goal is to match the right employee to the right assignment. That is why we spend more time listening to you and learning about your business.